A Canadian man visiting the UK to attend a wedding caused a head-on crash with a lorry while more than twice the drink-drive limit, a court heard. Robert Slater was driving an articulated goods vehicle along the A6 in Bakewell in the early hours of May 17 when he suddenly saw headlights coming towards him on the wrong side of the road, High Peak Magistrates’ Court heard. He tried to swerve to avoid a collision but the car hit him head-on, causing the lorry to jackknife, prosecutor John Cooper said. Mr Slater suffered cuts to hits knees and elbow. 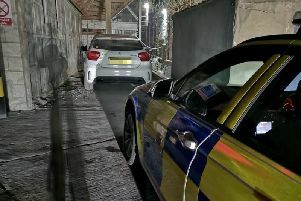 Police attended the scene and spoke to the driver of the Mercedes, Kristopher Urech, who failed a roadside breath test. He was arrested and taken back to the police station, where he provided a reading of 79, the legal limit is 35. In interview, he said he had been at a wedding and was on the way back to his holiday cottage when he took a bend too sharply and collided with the lorry. The 44-year-old, of Ontario, admitted drink-driving. Saul Comish, defending, said: “He was in the country to attend a wedding. He wasn’t intending to drive that night. There was a shuttle bus provided at the wedding but it unfortunately left just before 1am. Urech was fined £255, ordered to pay £85 costs, a £25 surcharge and a £150 court charge. He was also banned from driving for 20 months.